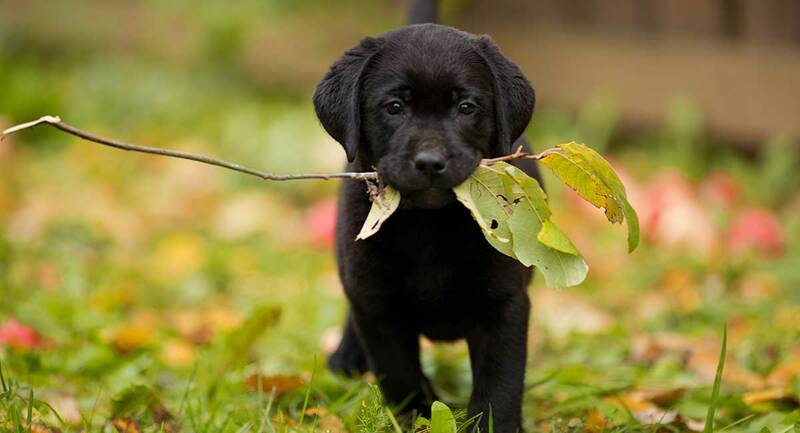 The Labrador Retriever has had a well earned place as one of the most popular pedigree breeds for years. From a rich history as a working companion to finding their place in modern homes around the world, this lively, dog makes friends wherever he goes. 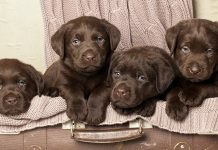 By following the links below you can check out the answers to our readers’ most popular and frequently asked questions about the Labrador Retriever. Hoping for some quick stats? 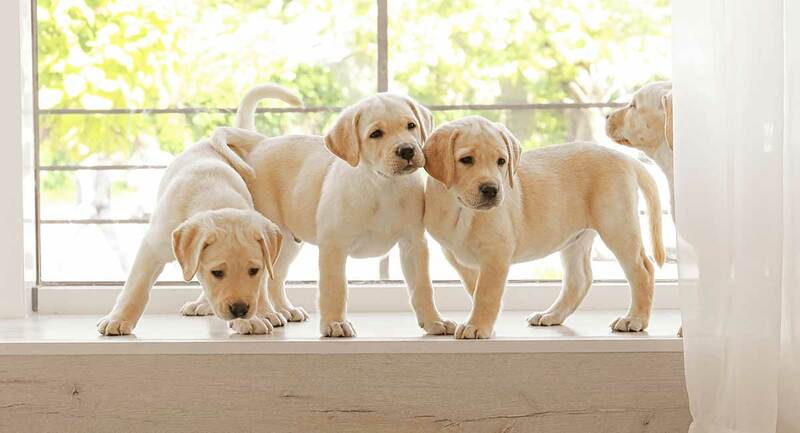 Here’s the Labrador Retriever breed at a glance. Popularity: 1st! The Labrador Retriever is no. 1 in the USA. Purpose: A sporting breed, used to retrieve shot game. Now a beloved family pet too. Weight: An adult Lab can weight anywhere between 55 and 80lbs. There are over a thousand pages of Labrador information on this unique website. We have included this in-depth guide to help you find exactly what you are looking for. Here are some of the most popular topics on the Labrador Site. Click on the links below to jump to the ones that interest you the most. Or scroll down the page to find out the answers to all of your Labrador questions! Labradors Retrievers have an amazing history. From humble beginnings as a sporting companion, to a place as the most popular breed in America for many years running. Find out all about their fascinating origins in this in-depth guide. Labrador Retrievers were bred to carry out a job, which required them to be strong and athletic. They needed to be able to run for long distances while carrying game, and to cope well in the water too. They are between 21.5 and 24.5 inches tall, and weight up to 80lbs. Their shape and structure can differ a little between English (Show) and American (Working) types, but they tend to be well proportioned dogs with broad heads and long legs. But there are some other shades gaining popularity, including the controversial Silver Labrador. Regardless of color, Labradors are renowned for having excellent temperaments. Labs are well known for being friendly dogs that crave human company. They do not tend to have aggression problems, provided that they are well socialized and bred from friendly parents. 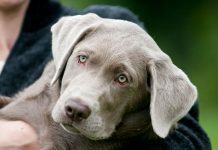 But there are aspects to their eager temperament that owners need to be aware of, and you can find out all about them in our complete Labrador Retriever personality guide here. Due to their history as cooperative working companions, Labs are fortunately fairly easy to train. If you know what you are doing, of course! Is Shock Collar Training Worth It? Training is not just for teaching your dog new skills, it’s also a great source of exercise. Labradors are lively dogs, that need plenty of physical as well as mental stimulation. It will keep them happy, but will also help them to stay healthy too. 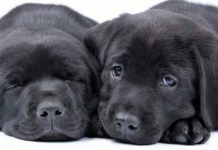 While Labradors are a relatively health breed, they do have some problems that they are more likely to suffer from than some other breeds. Fortunately, many of these can be avoided or reduced through good health testing of breeding pairs. 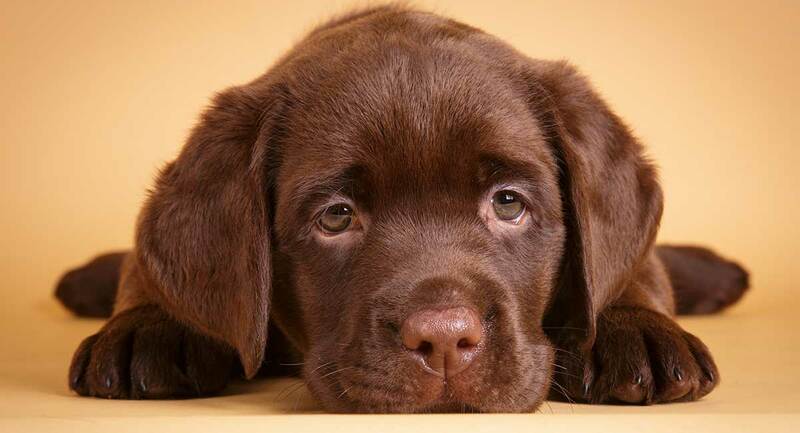 Labrador lifespan is on average around 12 to 12.5 years. To stay healthy they will need a great diet, in appropriate amounts, and of course lots of love and care. One important part of Labrador ownership is grooming. As these dogs tend to be rather prolific shedders. The right brushes, a good vacuum cleaner and a regular cleaning routine will help you to stay on top of it. 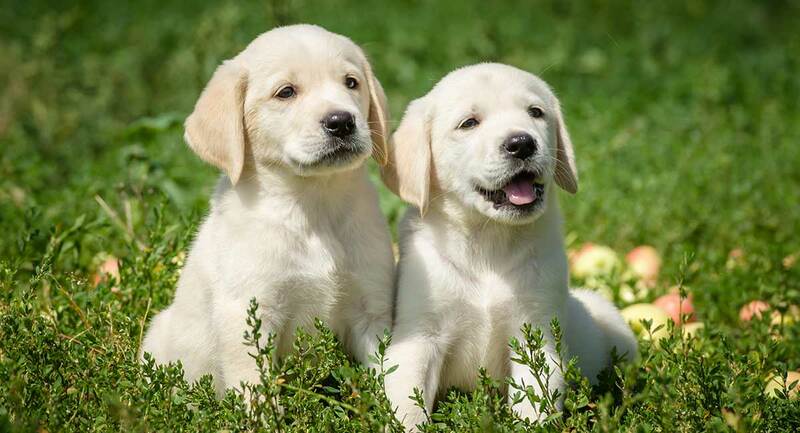 Labrador Retrievers make great pets for active families, who are around for much of the day or are able to put in place effective cover plans during the working day. Although generally good natured, Labs can be quiet bouncy and pushy and knock over very small children or the frail. However, with the right training and environment, a Labrador Retriever will make an excellent pet. Rescuing an older Lab is a great way to bring a new dog into your home for some families. You will be able to meet your adult dog and get to know their personality and make sure that it matches with the environment you would be able to provide. 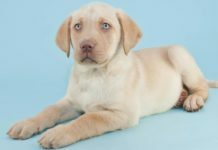 There are some potential pitfalls with rescuing so be sure to check out our extensive Labrador Retriever rescuing guide here before you take the leap. You can also find an extensive list of Labrador rescue organizations there. New Puppy In The House? From puppy care and feeding, to potty and obedience training, we have you covered. Our Labrador Puppies section has all the information you need to help you raise your puppy. Not sure that a Labrador is the perfect pup for you? Then you might be considering a Labrador mix. 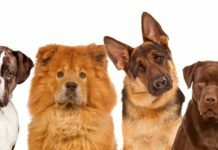 Mixed breeds could turn out to be more or less like either of the parent breeds, so do make sure you get to know them both in detail before making your decision. 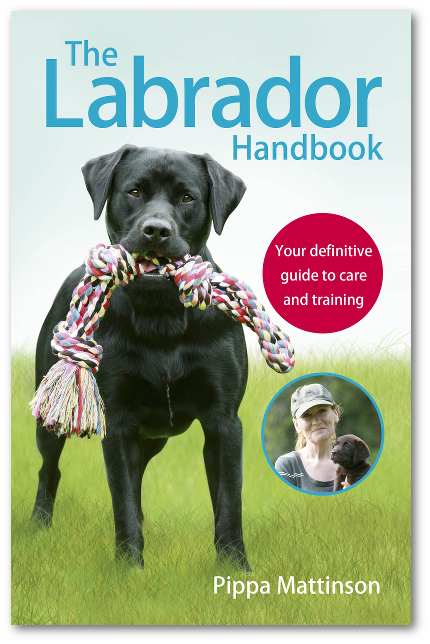 One of our favorite things on the Labrador Site is searching for great new dog products. 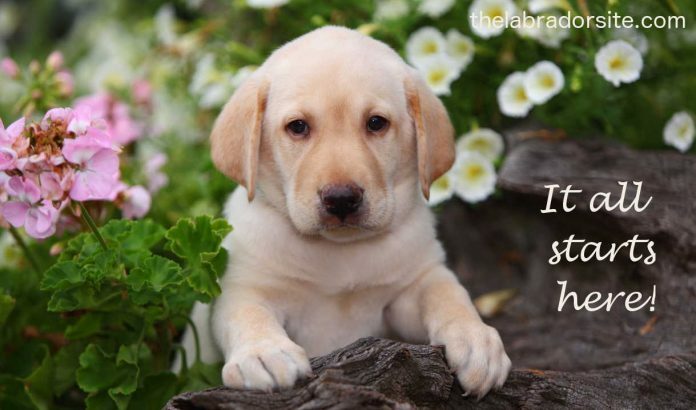 You can find the best Labrador Retriever supplies in our shop section here. Although Labradors are undeniably lovely dogs, they do have their downsides. Let’s compare their pros and cons. 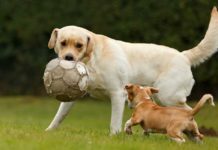 Labradors are energetic and so need lots of exercise, although not too much when they are puppies to keep their joints healthy. They do have some potential inherited disorders, so you will need to buy your puppy from a breeder that has made sure both parents have great health tests. You will have to work hard to keep your home fur-free and dedicate lots of time to training to prevent unwanted behaviors such as jumping up or pulling on the leash. They will also probably want to meet and greet everyone, and every dog, they see whenever you leave the house. They can also be prone to separation anxiety. Their intelligence means they are easy to train with modern positive methods, and their eagerness for food means it won’t be hard to keep them motivated. 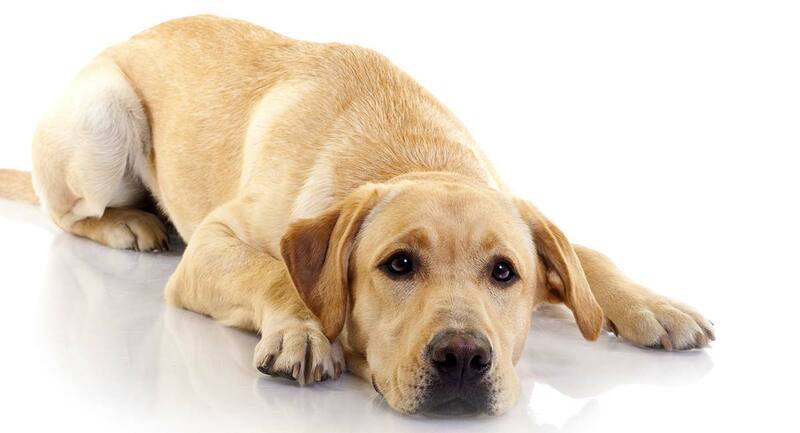 Health testing means that you can hope to avoid or reduce the risk of all the most common Labrador health problems. They are generally very friendly to other dogs and people. They are often good with cats too if introduced carefully or brought up in their company. They will love you with all their heart, and want to spend as much time in your company as possible. Want to know how the lovely Lab stacks up against some of his popular canine cousins? Next articleCan Dogs Eat Walnuts? Is It Safe to Share? Raghavi, no. It needs its mother’s milk to grow properly until at least week 5 or 6. As well it will need to learn to socialize with other puppies. They learn this during weeks 5 to 8. Once the puppy is between 8 and 10 weeks old that is the best time to remove them and let them bond with you. We got our Sandy, our golden lab many years ago. The best advice my vet told me was he needs to run and explore and be a dog, Living on a farm, free to explore and live as he should. Not in an apartment, not in a cage but enjoying the outdoors. My Sandy passed away last week and it fills my heart with love knowing he had a wonderful, adventurous life with no obstacles to his freedoms.